Empowerment Essence advocacy network is growing through partnerships with organizations, youth, young adults and community leaders. Advocacy in the area of bullying and suicide will empower lives, end stigmas and help others live full lives. Together advocates can and will educate their state and local leaders and communities about bullying and suicide. Be a part of shaping new laws and policies making communities safer. Help change the way individuals think about bullying, suicide, and mental illness. Building relationships with community leaders and governmental public offices Increasing awareness about bullying and it’s relation to suicide making it a public health and educational concern. Educating communities about bullying and suicide including mental illness Advocating for increased local, state, and federal policies, laws, regarding bullying and suicide Creating partnerships with bullying prevention organizations, suicide prevention organizations, mental health organizations and behavioral health organizations including government agencies, media, and others that can help reduce bullying and suicides. 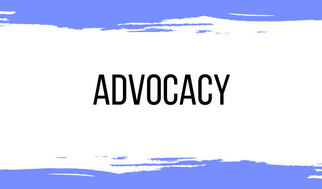 As an advocate, you make a difference in the lives of our youth and young adults. Advocates decide how much time they wish to volunteer. No matter how much time you offer it adds up to saving the lives of another. To learn more, click here.